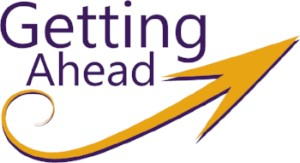 To view our Getting Ahead blog, please click here. 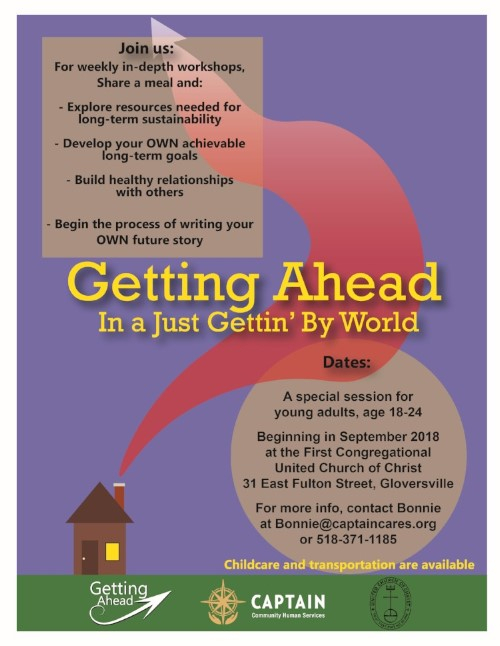 Our Getting Ahead program is a 12-16 week group workshop to help people stabilize their situations and build resources to improve their lives. The Getting Ahead program guides participants through the process of assessing their own resources and how to build those resources as part of their move to self-sufficiency. Getting Ahead participants create their own plan for a sustainable life, explore resources needed for sustainability, build healthy relationships with others, begin the process of writing their own future stories, and examine how they can change the legacy they leave to their families and community. For more information or to register, contact Bonnie at 518-371-1185 or use the form below. You may also download the brochure below. Reducing the social costs of poverty, strengthening the workforce, and building a more prosperous and sustainable community are goals on which most communities agree. Bridges Out of Poverty community support program provides a family of concepts, workshops, and products to help employers, community organizations, social service agencies, and individuals address and reduce poverty in a comprehensive way. Bridges brings people from all sectors and economic classes together to improve job retention rates, build resources, improve outcomes, and support those who are moving out of poverty. Learn more about Bridges Out of Poverty by clicking here. In the R Rules, life is like a card game, everyone gets a hand. We all get good hands, and we all get bad hands. While you can't control the cards you were dealt, you can control how you play them. Youth ages 15-18 use the R Rules to learn about themselves, build resources, and win more often in the game of life. R Rules participants create and manage individual academic and career plans; analyze how individuals, institutions, and communities affect resources; recognize and use patterns to predict outcomes, problem solve, and plan; identify strategies and resources to build resilience; and empower students to develop their voices as they contribute and work together to make a difference. For more information, contact Brianna at 518-371-1185 or use the form below.